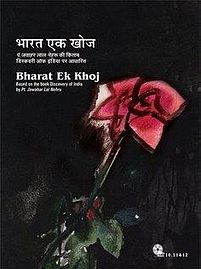 Episode #11 of Hindi TV Serial Bharat Ek Khoj (which was aired on DoorDarshan and now is available as a set of DVD for home viewing); focuses on the tale of two legendsChankya and Chandragupta. Of course we also expect glimpses of the life of Alexander (The Great) aka Sikandar in the same. To justice the content, the director spread the tale into two episodes. It is obvious to compare content of famous Hindi TV Serial Chanakya with the episode #11 and episode #12 of Bharat Ek Khoj; as both them explore the lives of the above mentioned legends in a way. Chanakya – TV Serial was also praised a lot for its research and authenticity. It is worth to note that Chanakya TV Serial was made after Bharat Ek Khoj. And the approach to the lives of Chanakya, Chandragupta and other related characters was different in both the TV Serials. According to Bharat Ek Khoj TV Serial – Chanakya and Chandragupta were two unique personalities who took the full advantage of situation raised due to the death of Alexander, and internal clash between the north-western border states of India; and draw the future and control the circumstances in the way they wanted. The TV Serial never try to defame the work done by both them, but, it rather view it in probably neutral way. It seems Pt. Nehru was impressed by both Chanakya and Chandragupta but not mesmerized by them and tried looking at their lives in terms of political situations in India in their times. Even the famous incidents of meeting of Chandragupta and Chanakya; the clash between Nand and Chanakya in Nand’s court; which were the game changers; appears in the episode in quite different way than they were in the Chanakya TV Serial. The dialogs are first rate we must say. The conversation between the scholars including Chanakya – abut his famous book – ArthShastra – is very deep and realistic. It shows that despite of believe in ideology Chanakya knew that the society cannot simply live on ideology. In order to create a strong society and culture, rather than just trusting and following the wisdom, ethics and morals of a common man or even a king is not enough. There is a need of strong rules which is to be followed by everyone in the social segment. It will make the society a law-abiding, disciplined segment, which offer a better life to every person living in. These rules are applicable even today, and when you analyze the political happenings around the world these days, you think to believe it. Even the views of the famous Greek philosopher Socrates are quite similar to these ones. The episode focuses on the first phase of events in the time of Chanakya and Chandragupta; which took place in around after a couple of centuries of – Gautam Buddha. It was the time when the efforts to integrate small states and create a rather more consolidated and strong bigger state (or something like a group of states similar to a country) were started being made. Probably the idea of a republic which is union of states – idea is rooted. The attacks of Alexander’s army at the north-western states of India pushed the efforts further. It was the time when Magadh was considered as the strongest state in the area and Pataliputra (or Patliputra) was the center of power. Both Chandragupta and Chanakya were sent-off or deported (well, kind of) from Magadh and have anger against the state and the rulers. Both them want to establish a better and stronger state and society. And the political situations were inviting them doing so. Consider it as a call of their destiny or whatever, but eventually they get together and overpower the situations and De-throned DhanNand (or DhanaNand). Thus the Nand dynasty’s rule was over and Maurya dynasty’s was started. It is worth to note that the grandson of Chandragupta was – Ashok (or Ashoka), better known as Ashok The Great (or Ashoka The Great); who is considered as one of the best rulers not only India but the world have ever seen. The scene where Chanakya visits Nand’s court is filmed pretty well and leave its impact. Anjan Srivastav excels as vulnerable DhanaNand. The actor playing Chanakya is suppose the best choice for the role, though we think the fellow could have done better. The wardrobe and sets are quite realistic and seems authentic. The research team deserves the credit. The background music is definitely one of the most positive aspects of the TV Serial without a doubt. The scene in the tent of Alexander; where he was furious by finding that one (possible) spy was able to infiltrate and gain access inside his area; and was doing an angry discussion with Seleucus; is armed with good dialogs, but it looks like a play is running on a stage of theater. Probably the theater artists are performing it and hence it gave that look. But when it is filmed for a TV Serial or movie, some attributes should be controlled. There is no need to have the dialog delivery in the way it is needed to be performed on the stage. Actually when performing on stage one has to overact a little, and have strong tone in the voice to reach to the audience properly, which is not the case when performing in front of the camera. It is a good scene otherwise. The scene where Chanakya introduces KirtiDhwaj (a spy) to Chandragupt and appreciate his work is where we see other nice flair of advise. It is when Chandragupt learn one more lesson of Chanakya. The simple yet powerful dialog and controlled acting by the actors make is believable. It is followed by the flash back of Suhasini and Chandragupta’s personal moments. It also explores that in order to achieve major goals, one often need to control or bury his personal beliefs and interests. It followed by various events including DhanNand’s lust for Suhasini, the capture of Shaktar, Chanakya’s interference in the same, the changing mind of Suhasini and much more. Meeta Vashishth is also very competent as Suhasini and in her scene with Anjan Shrivastav, we enjoy seeing two great actors competing and performing better. The actor playing Chandragupt does well of course. The actors playing Shaktar and Rakshas are must to mention. Overall an episode with some nice acts, good dialogs, a couple of low points. You need to view it with open mind as the first few minutes of the episode may be hard to digest if you are Chanakya and Chandraputa’s fan. The DVD quality is also very good. You will be getting the best for the time and money you spent to view the episode for sure.